The workers of Haft Tappeh Sugarcane Complex continue their protests, demanding payment of their overdue wages and health insurance benefit. The employer of Haft Tappeh Sugarcane Complex has not paid the overdue wages of the workers. The workers say that their salary of previous month (21 February – 21 March) has not been paid as well. The Haft Tappeh workers have not been paid their wages frequently in recent months; therefore, since October 2018, the workers have been protesting in the southern cities of Shush and Ahvaz. 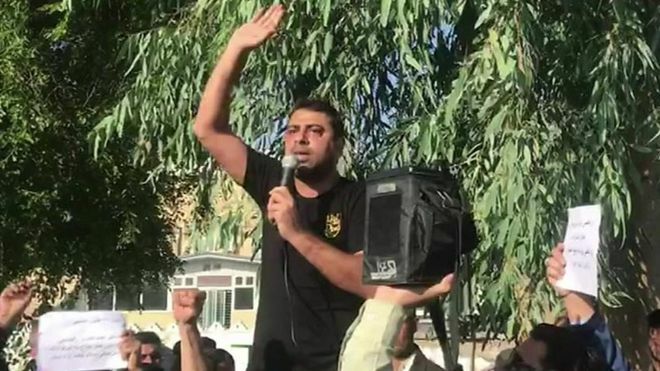 Esmail Bakhshi, one of workers’ representatives in Haft Tappeh Independent Labour Union, served as the public face of the protests. Haft Tappeh protests led to a wave of arrests in the past months and Iranian government launched a major crackdown on the labor rights activists and workers. Esmail bakhshi, Sepideh Gholian- a 23-year female labour rights activist and citizen journalist – were among those who were arrested. Iranian authorities have been dealing with widespread labor protests across the country with workers demanding job security and payment of their delayed wages. On 7 Feb 2019 the Swedish Trade Union Confederation issued a joint statement with four other labor and workers’ rights organizations in Sweden, calling on the Iranian authorities to end the arrests and security treatment of Iranian workers and labor rights activists including Esmail Bakhshi and Sepideh Gholian.